It might be hard for modern day chicken ladies and lads to believe, but there was a time when people weren’t as crazy for chickens as we are today! YES! In fact, prior to the 1800s, chickens were seen as part of the farming landscape, existing to provide eggs and Sunday dinner and not much else. Definitely not the adored and spoiled backyard girls we raise today! Cochins played a big part in starting the modern day craze of keeping chickens and their friendly nature and unique looks still inspire chicken keepers today. What is it about Cochin chickens that inspired a new movement in keeping chooks as pets? Let’s delve into the 5 reasons we love Cochin chickens to find out! Fancy Poultry Inspired Poultry Fanciers! With their buxom bodies, feathery legs and friendly natures, it’s not hard to tell why Cochin chickens were a revelation for western poultry keeping in the mid 1800s. Their unique looks and lovely temperament made Cochin chickens the bird of choice for the burgeoning poultry fancier culture developing in the western world. Up until then, chickens were simply rural staples providing eggs and dinner for hungry and hardworking farmers, but all that changed when a new type of bird fluttered onto the scene in the middle of the 19th century. The Cochin chicken breed arrived on the shores of Britain and America from the bustling port of Shanghai, China in the mid 1800s. 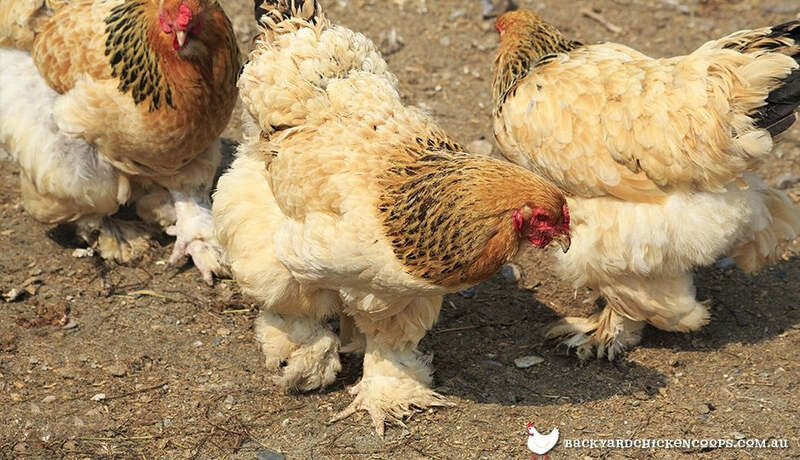 Cochins were developed by the Chinese for meat and egg production but the chickens’ feathered feet and friendly nature soon won them an adoring group of ardent and fancy fans, including Queen Victoria, already a poultry fancier, who kept Cochins in her menagerie! They have since been developed as bantams, but it is the standard sized Cochin hens that first captured the imagination of chicken keepers. 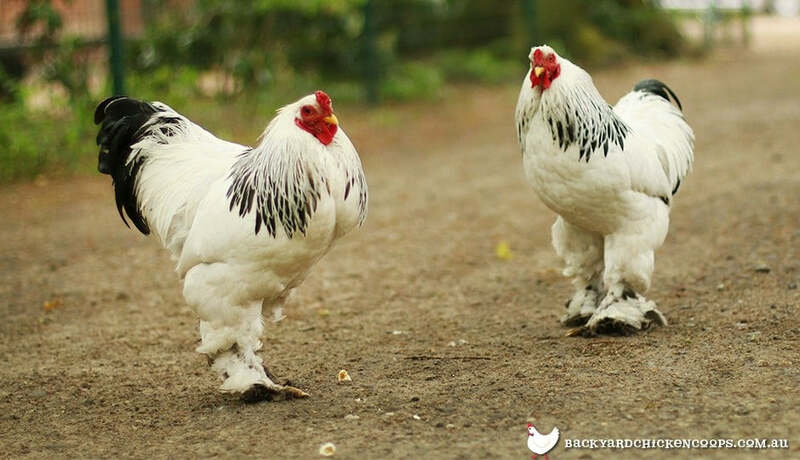 First impressions count and standard sized Cochin chickens wasted no time flapping into the hearts of poultry keepers with their big and beautiful bodies, weighing up to 5kg, and an abundance of fancy feathers. When Cochins were first brought over the seas and trade routes from China they were deftly skilled at laying eggs, but an emphasis on developing feather and fluff meant that laying proficiency decreased over the years. Not to worry, what Cochin chickens lack in egg laying prowess they more than make up for in being such an astonishing bird to look at! They are feathered to a fault, even down to their toes! As such, muddy conditions don’t bode well for these buxom beauties, but give them a dry run and small patch to forage and they are as happy as hens can be. If they do get a little cruddy, don’t panic, just check out our handy guide to grooming and maintenance for your chooks! When exhibiting, judges look for small low tails, small heads with large soulful eyes and a serrated single comb. And these girls don’t disappoint when it comes to outfits! Cochin chickens come in a vast array of colours including buff, white, black, blue, partridge and cuckoo! Whoa mumma! Want to know more about plumage? Have a stickybeak here. Cochin chickens are gentle giants. These large and lovely ladies are very easy to handle (as long as you can carry their hefty weight) and make perfect pets for families with children. Their love truly knows no bounds. In fact, Cochin chickens are often used as fabulous foster mums for hatching and brooding another bird’s eggs, even those of ducks and turkeys! If you want a laid back lovely hen who won’t venture too far from the coop, the Cochin is right up your chicken run. They are not overly active chooks and have a tendency to pack on some pounds if fed too many treats, so stick to lettuce leaves and keep the cracked corn for special occasions when showing your girls you care. Thanks to their slow growing, robust figures and fabulously feathered nature, Cochins are hardy for cold temperatures. They create a high amount of body heat and can even lay their small brown eggs in the winter months thanks to their overcoat of pretty plumage. 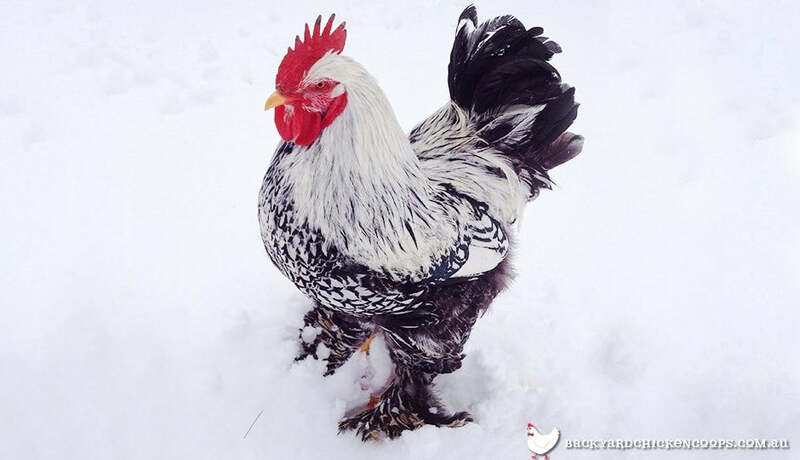 Thinking about keeping a mixed flock of chickens in a cold climate? Have a peck at our chicken breed suggestions here. Warm and cold, Cochins take most types of weather in their super stride, but care should be taken during summer months to keep them cool by making sure your Cochins have plenty of shade (our Coops Shades provide the right amount!) and drinking water on very hot days. Cochin chickens are happiest when they are home. They love nothing more than knowing their boundaries and sticking to them, which is why these fluffy giants make egg-cellent backyard pets! They are not natural eggs-plorers, and will happily spend their time in a well built run, being let out to forage in their patch on a daily basis. The Cochin chickens’ big and beautiful bodies prevent them from being skilled flyers so there is no risk of them taking off for the neighbours or finding themselves in a spot of bother up a tree. Ask yourself, what could be better than sitting back with a cup of tea and watching the fluffiest chicken bums that ever existed make their slow and steady way around the garden? Nothing! Cochin chickens are a great choice of chook for any kind of Chicken Lady or Lad. These hens are pretty, portly and partial to hugs from their human friends! Cochins are a chicken with personality and need a coop with character to flourish! Want to start a fledgling flock of two? Or perhaps create a happy and healthy home for a gaggle of gentle giants? We have you sorted with our easy to love and easy to clean coops like the marvellous Mansion, the perfect Penthouse or the terrific Taj Mahal. Have a peck at these happy homes to see what coop is the right choice for your Cochin chickens.